Lovers of the arts and literature have a once-in-a-lifetime opportunity to see some original manuscripts by five of Britain's greatest writers. Lovers of the arts and literature have a once-in-a-lifetime opportunity to see some original manuscripts by five of Britain’s greatest writers. 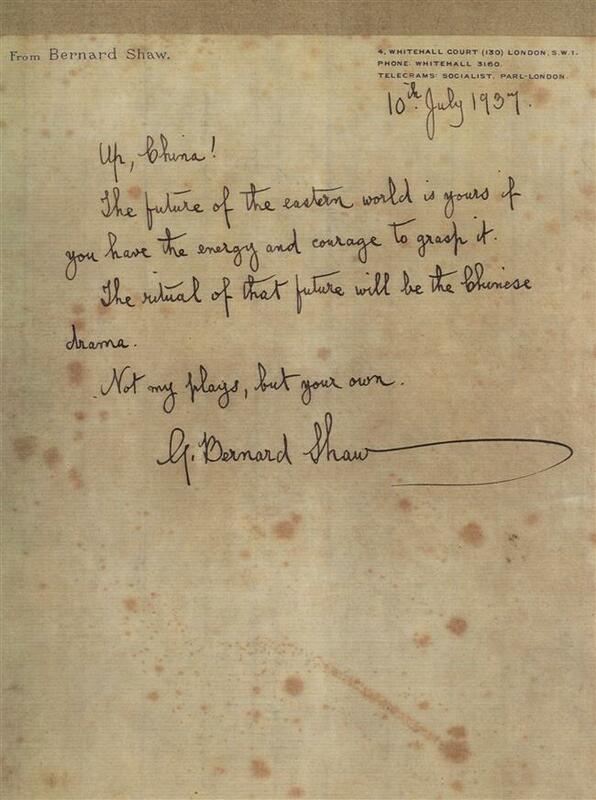 The exhibition “Where Great Writers Gather: Treasures of the British Library,” running until April 15, features drafts, correspondence and manuscripts by Charlotte Bronte, D.H. Lawrence, Percy Bysshe Shelley, T.S. Eliot and Charles Dickens for free at the Shanghai Library. 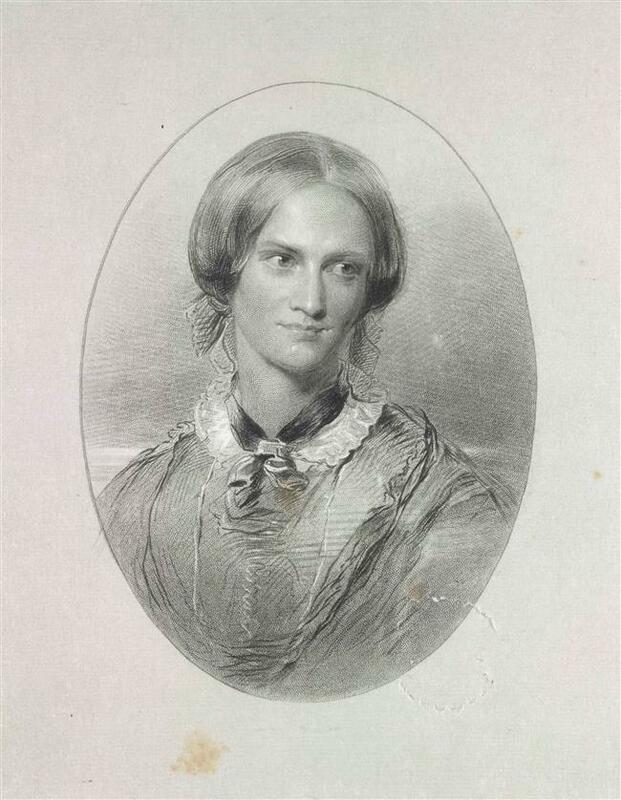 Exhibits include Bronte’s manuscript of “Jane Eyre,” such as the famous line from the concluding chapter: “Reader – I married him,” and five pages from the original manuscript of “The Pickwick Papers” by Dickens. 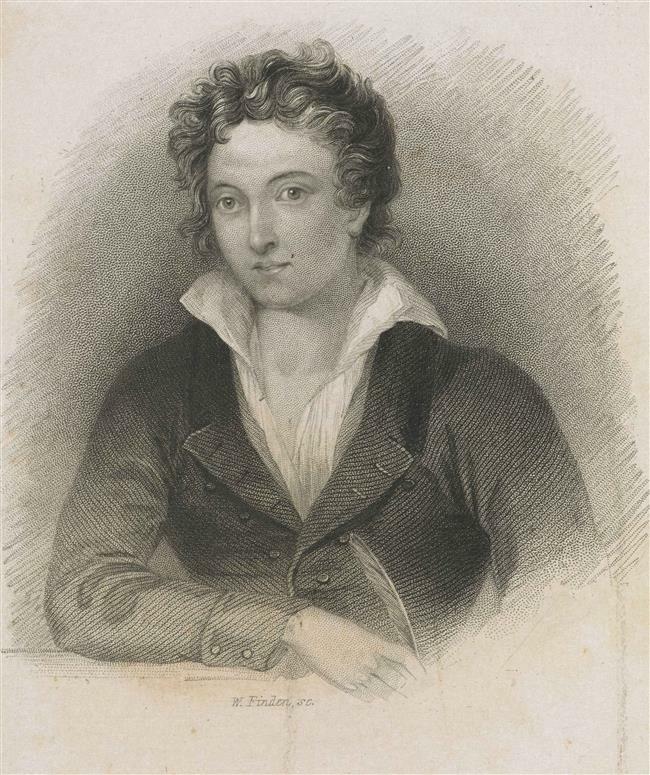 The display also features letters from Lawrence about his novel “The Rainbow,” discussing the ban of its publication due to the sexual content and alternative solution, and a manuscript draft of a sonnet dedicated to Lord Byron by Shelley. Drafts of poems for “Old Possum’s Book of Practical Cats” by Eliot, including letters discussing feline behavior, are on show. Alexandra Ault, British curator of the exhibition, says the manuscripts told secret stories of the classic tales familiar to millions of readers in China and revealed the different ways on how the writers created them. 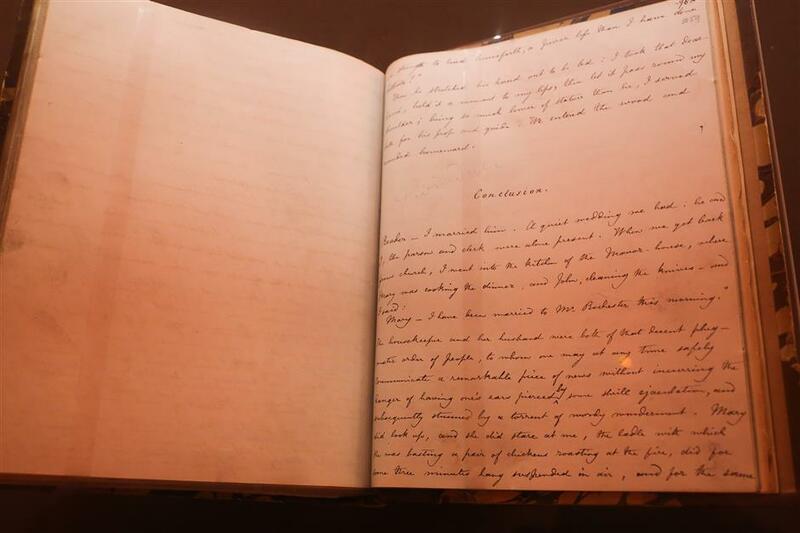 The exhibited manuscript of “Jane Eyre” is a neat or “fair” copy of an earlier draft of the story. It had been rejected by a number of publishers. But in 1847 it was sent to George Smith, who published it just two months later. Smith sent this very manuscript to the printing firm, where compositors or typesetters worked from it. Inky fingerprints can be seen on the left-hand side of the page, while the name of a typesetter is visible on the right. “The Pickwick Papers” is a series of sketches, or short stories, by Dickens, published in 19 monthly parts from 1836 to 1837, before they were published as a single novel. 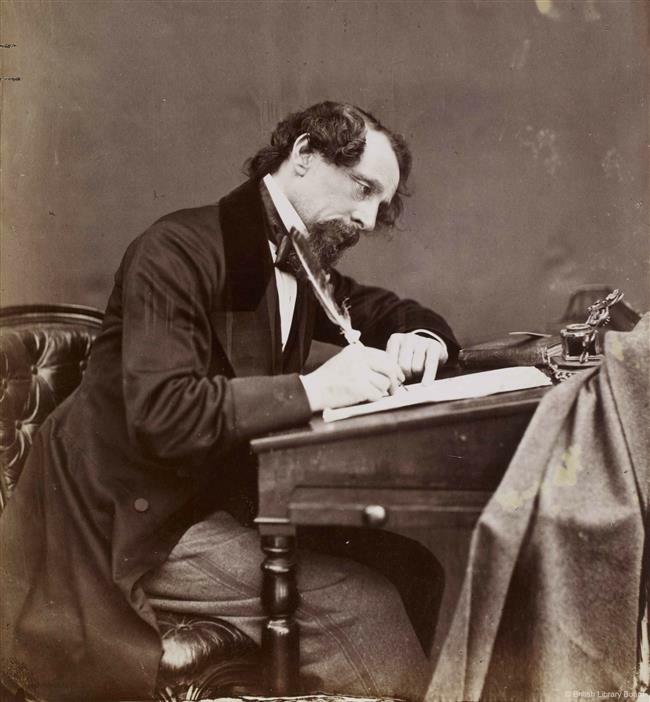 Dickens sent his working manuscript draft directly to the printers, complete with corrections and crossings-out. The exhibits are expected to show the little-known personality of the writers. In a letter by Eliot one day before the Valentine’s Day in 1940, the post-modern writer drew some loving hearts and a man shot by Cupid’s arrow. Chinese translations, adaptations and responses to their British writers’ works are also exhibited alongside to help visitors explore the journey of the literary greats’ works in China and reveal the stories of the translation and reception of English literature here. One interesting example is about a famous translator called Lin Shu, who had translated many works of Dickens. The irony is that Lin did not speak any English, so he worked with his friend Wei Yi, who orally translated the novel to him. Lin then rewrote the stories in Chinese. Shanghai Library will hold a series of activities, including a translation competition, a recital of English literary works and a series of lectures. According to Chinese curator Huang Xiangong, the Shanghai Library chose the five writers because of their popularity in China and the availability of their manuscripts. The exhibition reflects Shanghai’s important status as a historic gateway through which English literature first arrived in China. It also marks a milestone in the relationship between the British Library and the Shanghai Library. 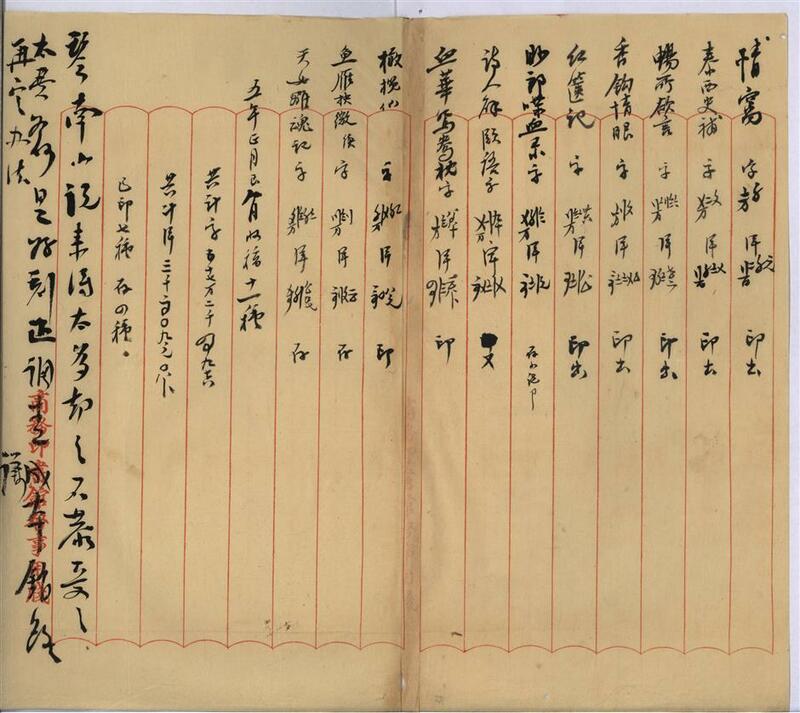 A chapter in "Diary of Zhang Yuanqi" shows a list of translated works by Lin Shu.